In 1876, under the Anglo-Chinese Chefoo Treaty, Pakhoi, a seaport on the north shore of the Gulf of Tonkin, is opened to foreign trade. It prospered, but declines as trade gradually shifts to Haiphong, Indochina. Pakhoi's population is about 65,000, but it has few foreign residents. After June 1939, when Swatow and other ports are occupied by the Japanese, Pakhoi’s import and export trade increase since it is practically the only seaport through which China is able to receive arms, munitions and oil. Nanning is located on the north bank of the Yong River, 100 miled from China's border with French Indochina (Vietnam). In 1907, the Chinese open Nanning to foreign trade. Nanning grows rapidly. From 1912 to 1936 it is the provincial capital of Kwangsi (Guangxi), in southern China. After the Japanse capture Hainan Island, they esablish an airbase for operations in Southern China in an effort to cut China's lines of communication. They bomb the highway from French Indochina to Nanning and the railroad to Yunan. 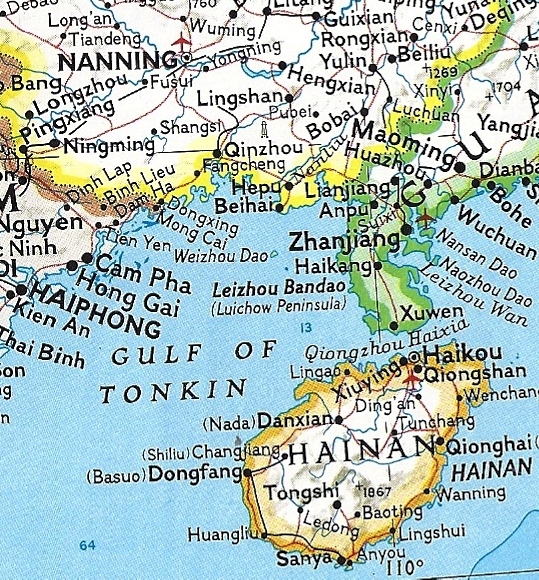 Hainan is also used as a naval base to blockade the southern coast of China. Samah (Sanya), Hainan Island, At 1200, the Pakhoi and Nanning invasion transports assemble in Samah Bay consisting of TAITO (4,466 grt), TAIAN (3,670 grt), ISSHIN (4,955 grt), TOMIURA (3,821 grt), TATEISHI (3,800 grt), FUKUYO (5,463 grt), and YUKI MARUs (3,170 grt). Vice Admiral (later Admiral) Kondo Nobutake’s (35)(former CO of KONGO) 5th Fleet (South China Naval Force) provides the covering force consisting DesDiv 11's HATSUYUKI and SHIRAYUKI. The transports carry elements of LtGenAndo Rikichi's 21st Army including LtGen Imamura Hitoshi's 5th Division, MajGen Nakamura Masao's 21st Brigade and others. Air cover for the invasion will be provided by seaplane carrier CHIYODA, tender KAMIKAWA MARU and CarDiv 1's AKAGI and CarDiv 2's HIRYU and SORYU cruising in the South China Sea escorted by DesRon 1. In the morning, the transports depart Samah in a Monsoon and heavy rain. They anchor on coast of Kwangsi, about six miles SE of Chishayu. At 0700, landing boats under the protection of the guns of IJN units, effect a successful surprise landing on the coast of Guangxi at the mouth of the Yuhung River, near Pakhoi, at Lungmen Island and the eastern shore of Yamchow (Chinghow) Bay. 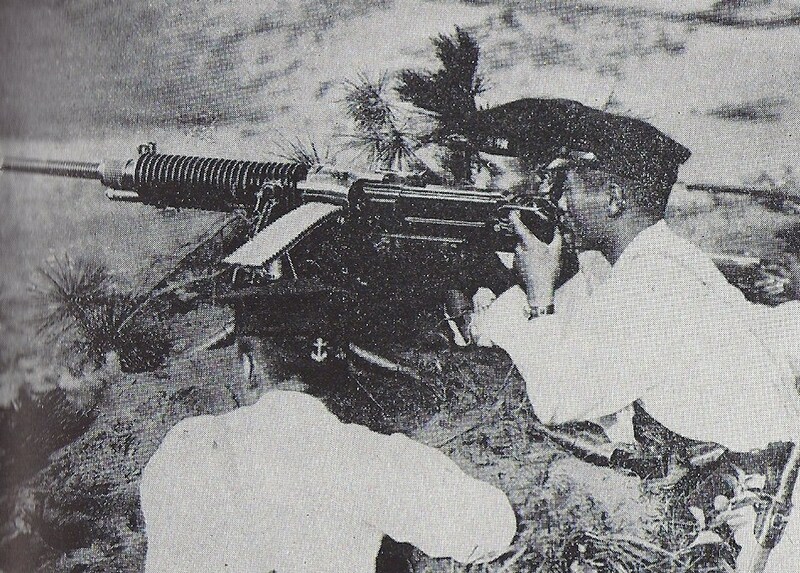 On the south coast, an unidentified IJN Special Naval Landing Force (SNLF) lands on Qinzhouwan Bay, near Qusha of Pakhoi city. After overwhelming limited Chinese resistance, the Japanese occupy the port of Pakhoi and push towards Nanning with two IJA divisions and one SNLF brigade. They soon capture Fangcheng and cut off the Nanning-Zhennanguan Pass segment of the Xiang-Gui Railway, but the Chinese ship away locomotives, 7,000 tons of railway materials and 5,000 tons of supplies to Tongdeng before the Japanese take over Mingjiang. TAIAN and ISSHIN MARUs steam up the Yuhung River to the vicinity of Huang-wuchungyu and land troops who then march towards the area south of Nanning. TAITO MARU steams up the river and lands the IJA 21st Infantry and the advance guard to the north of Ench'ungshants'unland. Part of this force moves to occupy the area near Nanshetsun and up to Yungkoutsun. The main body assembles in the vicinity of Kuangyungtsun. The Japanese push inland rapidly, advancing 30 miles in three days and then capture Yamhshien. Nanning falls to the Japanese as Chinese forces fall back along the highway to Wuming. By seizing Pakhoi and Nanning, the Japanese cut off Chunking (Chongqing), severing foreign aid to China's war efforts by the sea. Thereafter, rail and trucks from Indochina, trucks on the Burma Road and the air cargo across the Himalayas (The "Hump") remain the only ways for China to receive foreign assistance, a situation that Tokyo plans to rectify. The Japanese Army announces it has attained its objectives in South China and withdraws the garrison at Nanning.